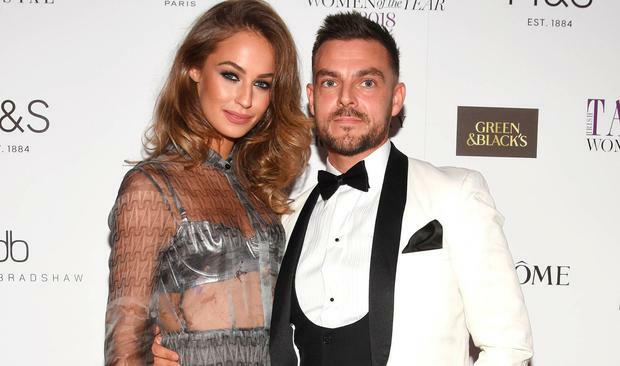 Model Thalia Heffernan turned heads in a semi-sheer gown customised by an Irish designer during a red carpet event in Dublin. Heffernan was among the guests at Saturday night's Irish Tatler Women of the Year Awards at the Clayton Hotel, and stunned in a chic gown by Natalie B. Coleman. Coleman's creations were among those featured in a special showcase highlighting some of the best of Irish design at last night's event, but Thalia's look is from her ready to wear new season collection. Thalia is now based in Manchester where she lives with boyfriend Ryan McShane, although she often returns home for modelling work. The couple joined a host of famous faces at the exclusive awards ceremony which honours exceptional women across categories in music, sport, media and activism. RTE reporter Caitriona Perry, who is a previous recipient for her contributions to media, was on this year's judging panel and turned heads in a green satin gown.